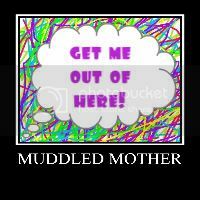 A Muddled Mother: Do As I DO!! How to Be an Example So That Your Child Can Handle a Bully. Do As I DO!! How to Be an Example So That Your Child Can Handle a Bully. This past weekend, while working on a specific chapter about bullying, my mind began to formulate a list of suggestions not only for me to follow to keep Ila out of that kind of situation, but to help other parents equip their own children. While writing, an unusual feeling of shame began to envelope me and at first I couldn’t figure it out. I thought perhaps it was the shame that came with the ineptitude with which I handled Son1’s bully experience. But I was pretty sure I had worked those feeling all out of me with the initial writing of the chapter the year before (thanks to a superb cheerleader that kept reminding me to ‘Do the hard Work!’) Then I thought that perhaps the shame came from the fact that Son2 has his own issues. Not with bullies but with BEING the bully. However once again, I dismissed that as being the origin of the shame knowing full well that THAT particular problem had been covered thoroughly in intense therapy sessions with Dr. Speed Dial. Nope…the shame, growing with every word added to the suggestion list, was coming from somewhere else. And so as I often do with emotions I can’t identify, I stopped what I was doing, sat still and quiet and posed the question to myself. (I know. I know…I just lost a WHOLE bunch of readers who clicked off the site shaking their heads about new age mumbo jumbo.) But—this technique works for me, and usually it is the voice of Hindsight that speaks to me. It was no different in this case. Hindsight had the answer. It started as a whisper…a reminder of the book’s idea that one should do as I say and not as I did. Then came the idea that as parents we strive to do the opposite of that saying; in other words, we try to make sure our actions are in line with the way we would like our children to act. And then, from this idea came the reason for the shame. When it came to bullying, I was NOT setting a good example for my children. One of the things that I had learned (really that Son1 had learned the hard way) was that the saying, “you get more flies with honey” did NOT work with those who had a mean streak or needed to feel a sense of power. I had always taught both boys that if someone was mean to them that they continue to smile and be pleasant because A. one should never give some maniacal meanie the satisfaction of knowing they were getting to you and B. that perhaps if you kept being nice they’d see the light. They’d feel bad for the abuse thwarted upon you and stop out of the goodness of their hearts, or at the very least let you know what it was that they didn’t like about you. But like Son1 learned so many years back, that just DOESN’T work. And yet, and yet...even though Hindsight had taught me that lesson so many years before, I had been playing out the “flies and honey” scenario for months with some bullies of my own. I had not been living, acting, doing what it was that I was writing about, what I wanted Ila to know and what so many other parents needed to teach their own children. Bullying unfortunately is pervasive in our society and doesn’t stop when one happens to turn 18 years old. HECK it doesn’t seem to stop when one turns thirty or forty or even fifty, and I was experiencing it all; the talking behind my back, exclusionary tactics, villainizing my actions or lack of action to justify their behavior, mean and harsh words said to others about me, the Eddie Haskell smiles while I was in the vicinity but eye rolls and snickers when they thought I wasn’t around. How did I handle it? Shamefully, the same way I told the boys to so long ago—just keep smiling…just keep smiling. How has THAT been working? Well, just about as well as it had worked for Son1 so long ago. Instead of feeling bad for continually kicking a girl who kept getting up with her hands and arms wide open…the despotic behavior continued because, like Son1, I was an easy target and one can’t ever count on all humans having good hearts. It is easy to get caught up in the “Let’s all gang up on…” mentality. I have regretfully done it myself to colleagues and acquaintances. However, I realized that if I was going to talk the talk, I had to walk the walk. In order to be a different parent, it couldn’t just be in theory. It has to be an actuality. When I picture the adults I want my children to be it means that I HAVE to be that adult. Right now. Even if I wasn’t the day before, the minute before, the second before. When it comes to the subject of bullying, I want my children to end up being adults that refuse to join in a mob mentality against one or two outcasts. And so…I have to be the adult that refuses to join in the browbeating of others. And at the same time, if I expect that my children will have enough pride to set clear boundaries against those who choose to malign them, then I must do the same. So instead of formulating the list, I am going to be its guinea pig and DO the list. I will not allow anyone to hurt me mentally (or physically, although that isn’t taking place). If they do, I will not be an easy target and pretend that it didn't take place. I will stand up and call the bullies out. I will no longer walk away from whispers that carry my name—I will demand that anything said about me will be said to me. I will not be vilified so that someone’s conscience will be clear only to be left in the dark about the so called complaints that one may have about me. I will instead stand firm and demand that I be treated respectfully or be left alone. As an adult, I do understand the nuances of standing up for oneself. It doesn't mean that I have to hate those who love to hate me. It doesn't mean that I am not able to work or be around those who are constantly sizing me up for the next dis. It doesn't mean that I have to be as unpleasant as they are. No. What it means is that I will make it very clear to those around me on what kind of behavior I will accept and what I will not accept when it comes to my dignity and self-worth. This, of course, is exactly what I'd want for my own daughter. There is a story that Oprah tells of Maya Angelou in which during a dinner party at Maya’s house, someone in a very large crowd tells a malevolent joke that impugned a specific group of people. The story goes that in the middle of the party and from across the room, Maya doles out what Oprah calls a “skinning” not allowing anyone around her to demean any person or group. After the skinning she promptly tells the guest to leave. After telling the story, Oprah asks Maya where that kind of bravery comes from. Maya’s answer was simple. She said, “You start out small.” So Mudders, while it may take us many many years to become brave enough to stand up to bullies in that way, we must strive to act, think and speak in a way that warns a bully that we are strong and will stand up for what’s right. After all, we can do no less than what we would expect each one of our children to do.